Female of Anaciaeschna martini　The female of Anaciaeschna martini which is alive has green compound eyes. 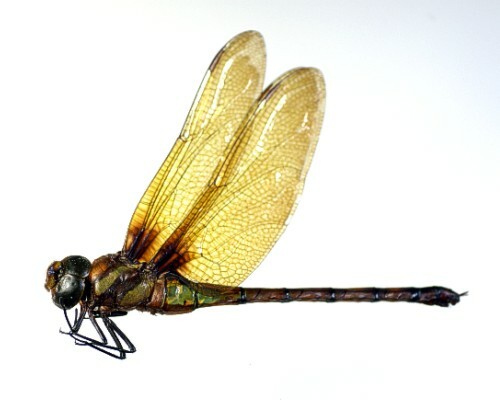 As for the female of Anaciaeschna martini the wing is darker compared with other Aeshnidae. 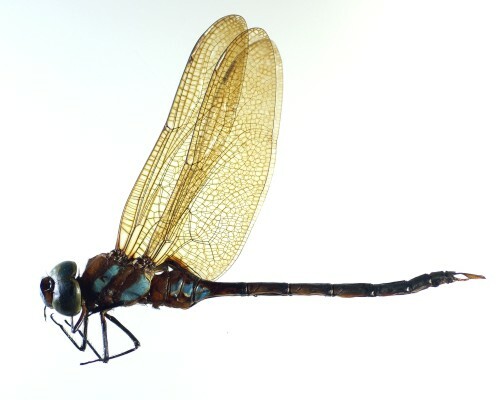 I collected this female in 1991. 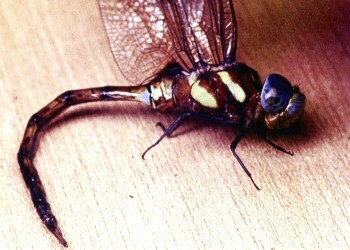 State of the breeding of the male of Anaciaeschna martini I inserted the larvae that emerged to the container and bred. I expected the changes of the color of the body of these dragonflies. However, color of the body changed more slowly than I thought. 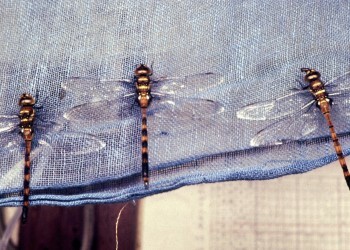 Males which are halting on cloth Male of the 13th day after emergence　Compound eyes are blue.